Congress has passed legislation that supports food waste reduction and composting efforts. A survey of full-scale food scraps processing facilities in the U.S. provides insights into processing infrastructure for food and compostable paper and plastic packaging. RRS conducted a survey sponsored by the Foodservice Packaging Institute (FPI) to collect information about North American composters that accept food scraps. The chart below displays the average capacity of these composters by the type of processing system they employ. Both size and system variance may be linked to feedstocks processed, community needs, local policy and funding available, as well as geographic factors. 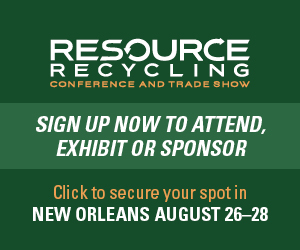 This article originally appeared in the June 2018 issue of Resource Recycling. Subscribe today for access to all print content.